The staff at the hospital was caring, compassionate and I felt like I was in very capable hands…the care was excellent! I am living testimony to the importance of this community based health system. I want to thank each and every staff person for the professional and exceptional care I received around the clock while at Medina Hospital. I was in Medina Hospital for rehab. It was comforting to be in Medina and my treatment was excellent. Dr. Wolf is a great asset at the Albion Healthcare Center. I am very pleased with her and the current staff. The staff encourages me. They give me the incentive to keep fighting. I’m getting good care, I am really pleased with this place. Everyone went above and beyond my expectations! We would like you to know that everyone we came in contact with, Front Desk Staff, Aids, Nurses, Cleaning Crew, etc., was GREAT! I would like to thank the staff at OCH for their wonderful, compassionate care during our mother's final days on North Wing. Everyone went above and beyond to make her feel comfortable and loved. The staff and physicians were caring, compassionate and attentive to my needs and always answered my "call light". We are so lucky to have this facility in our community. Kudos to Dr Misiti and the OR staff this morning! The time and attention, and ability to put your patients at ease is a gift and much appreciated! Recently as a patient in the OCH ER, I was treated with respect, professionalism and kindness by the DR's the Nursing staff. I would highly recommend them to anyone who needs help with medical care. 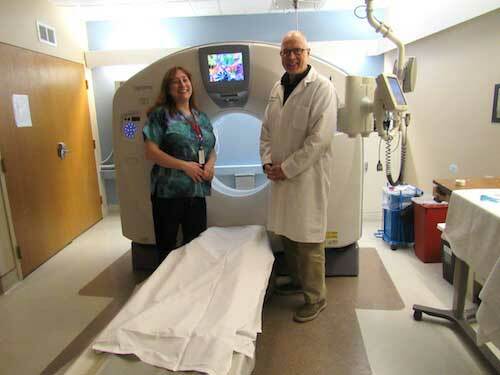 Photo by Ginny Kropf: Erica Chutko, director of Radiology and Cardiac Services at Medina Memorial Hospital, and radiologist Dr. Dale Sponaugle are shown with the hospital’s 64-slice CT scanner, one of the most advanced in the industry. MEDINA – Staff of Orleans Community Health are determined to dispel myths that people have to go to the big cities to find the latest advancements in X-ray technology. Some of the scanning and X-ray equipment at Medina Memorial Hospital are comparable to those found in many bigger hospitals, according to Erica Chutko, director of Radiology and Cardiac services at the hospital. 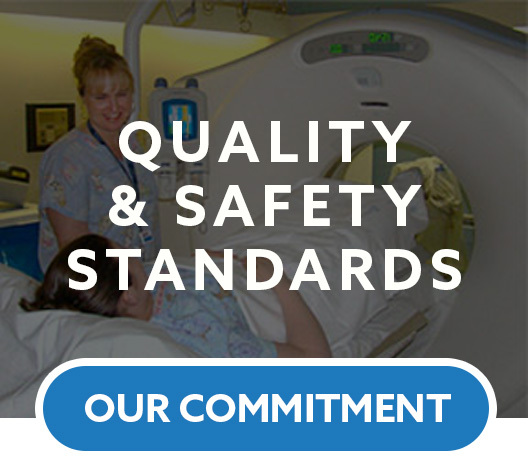 One of their latest advancements is having digital capability on all X-ray equipment. Another new service at the hospital is walk-in service 24/7 for general X-ray. There is no need to make an appointment any more, other than for special X-rays. The hospital is also fortunate to have a highly trained radiologist, Dr. Dale Sponaugle. The doctor graduated from medical school in 1985 at the University of Buffalo; did his internship in general surgery from 1985 to 1987 at the University at Buffalo; did his residency from 1987 to 1991 in diagnostic radiology at the University at Buffalo School of Medicine; did his fellowship from 1991 to 1992 in body MRI at the University at Buffalo; and is board certified by the American Board of Radiology in California, Florida, Georgia, Illinois, Kentucky, Michigan, Minnesota, New York, Tennessee, Texas, Vermont, West Virginia and Wisconsin. He has been at Orleans Community Health since February 1991. The department also takes in many student interns, said Cindy Perry, director of Education, Wellness and Marketing at the hospital’s Community Partners. “Dr. Sponaugle does a lot of educational things with them,” Perry said. Chutko said they also allow high school students to shadow them for a day to decide if a career in radiology is what they want to do. Perry reinforced the fact that people sometimes think they have to go to the big cities for their diagnostic testing, when the same opportunities are available right in Medina. The hospital’s ultimate goal would be to have 3-D mammography, something which is only available now in the big university hospitals. “We can provide a lot of quality services close to home,” Perry said. For instance, one of the newest pieces of equipment is a 64-slice CT scanner. The more slices, the more information it provides, Dr. Sponaugle said. Chutko said Sponaugle is an amazing radiologist. “He is scary smart,” she said. Also a benefit to the hospital is the fact the majority of people in the Radiology Department have been there 10 years or more. She has been there 25 years. Chutko said she practically grew up there. Her mother started as an aide at 16 and worked 30 years in Obstetrics, two years as manager. Her aunt worked almost 35 years in various departments, including two years as manager of the ER.